We do not know exactly when white wine came to be named as such. However, it can be easily seen that this type of wine is not actually white, but rather pale yellow, from golden or amber to straw-coloured or almost translucent; it can even have greenish hues. In fact, the colour that characterises white wines is the result of little or no contact between the grape juice and the grape skin through the fermentation process. With wines, all the colour is in grape skin, so when it is not present in the fermentation containers, the resulting wine is of a pale greenish-yellow colour. Curiously, most people do not know that white wine can be made from either green or red grapes. As mentioned above, only the skin of the grapes contains the pigments that are responsible for the colour of wines. If it is not in contact with the grapes during the winemaking process, the wine will not turn dark. Even so, white wines made from dark grapes can be found in the market. White wine made from dark grapes is called ‘blanc de noirs’, a French term meaning ‘white from black’. The ageing process make wines change colour, among other things. 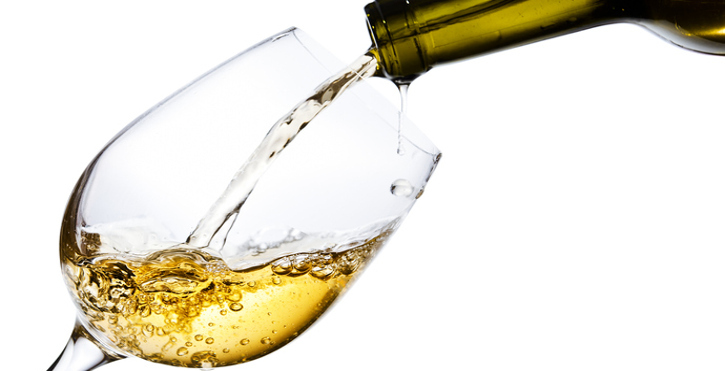 In general, white wines tend to enrich their colour, going from light gold to richer yellow-gold or amber. As a rule of thumb, the lighter, the younger. Also, when a white wine is pale, it has probably been bottled without ageing, either on lees or in oak barrels.